Since the relaunched PROPHET series debuted, a number of readers have asked the same not-unreasonable question: "Aside from the name, how is this comic in any way related to the original Liefeld Prophet?" At first the answer seemed be "It isn't," but with issue 25 (the fifth or so issue of the relaunch, which kept the old numbering), the connection has become strong and clear. CBR preview, in which Carol can quip like the best of them and I'm showing appreciation for a new Filipino breakout artist and his first Marvel project. Written by Kelly Sue DeConnick and drawn by Dexter Soy. Part of me feels that posting a comic based on a million dollar toy franchise goes against the spirit if not the letter of Beyond the Big Two week, but oh well. This is one of my favorite ongoing comics of the moment, and I'm not even much of a Transformers fan. 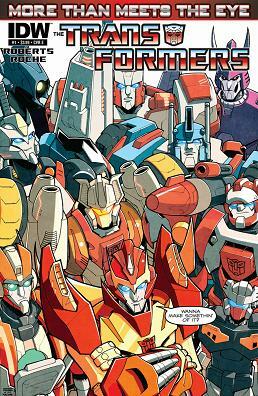 The premise of MTMTE is that now that the war with the Decepticons is over, a group of Autobots has decided to grab a starship and go searching the cosmos for the mythical founders of the Transformers race, the legendary and possibly fictional "Knights of Cybertron." And along the way, they encounter all sorts of adventures, of course. 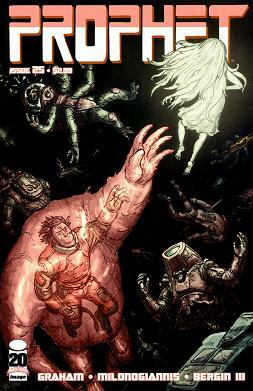 The writer of the series says he originally pitched it to IDW as an "unholy hybrid" of DARK STAR, JUSTICE LEAGUE INTERNATIONAL, and DOCTOR WHO. This is a re-post of seven pages from issue 1 and seven from issue 2, which gather together and introduce the eclectic cast.